Neoprene rubber resists degradation from sun, ozone and weather while maintaining its strength, flexing, twisting and elongation very well over a wide temperature range while having outstanding physical toughness. Many Grades of Neoprene are available depending on the application. This flexible neoprene can easily be applied to any industrial applications that need pliable rubber components. Neoprene Rubber is outdoor weather resistance and a perfect option for gaskets, seals and bumpers. 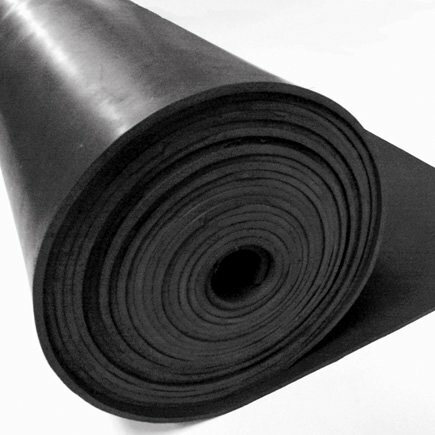 Neoprene rubber is a black colored rubber and is often recommended for service in moderate chemicals and acids, ozone, oils, fats, greases and many oils and solvent because it performs well in high aniline point petroleum oils, mild acids, refrigeration seals (resistant to Freon® & ammonia), silicone oil & grease, and water environments. DiscountRubberDirect.com even offers White FDA approved Neoprene ready for immediate shipment. Order your Neoprene direct from the manufacturer at the cheapest prices!